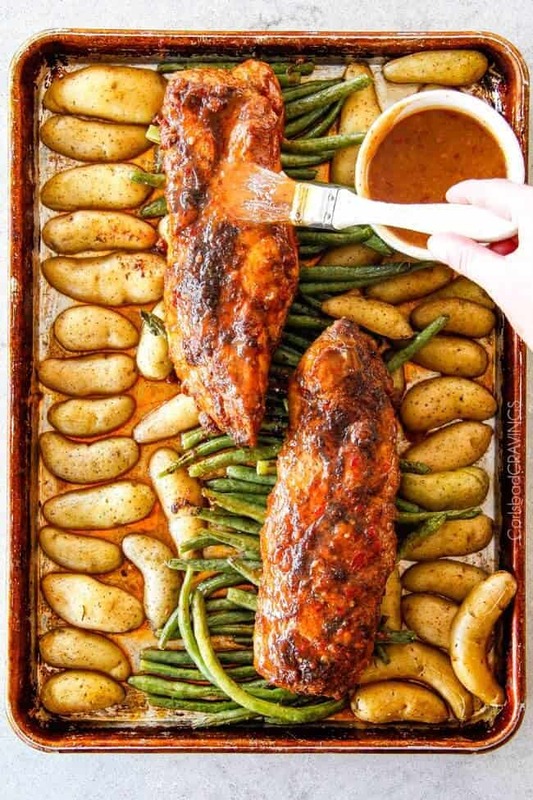 This Sheet Pan Chili Dijon Pork Tenderloin is a sponsored post written by me on behalf of Smithfield® Prime Fresh Pork. The opinions and text are all mine. 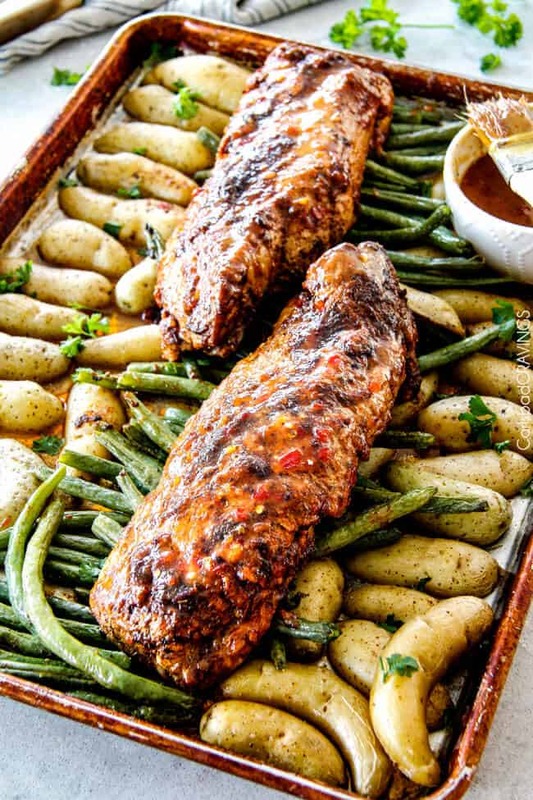 Company pleasing, holiday worthy Sheet Pan Chili Dijon Pork Tenderloin with Green Beans and Potatoes is melt in your mouth tender and bursting with tangy sweet and spicy flavors you won’t be able to get enough of! I hope you had a fabulous Thanksgiving filled with friends, family and lots of delicious food! Now that turkey season has come and gone, ‘tis the season for pork! 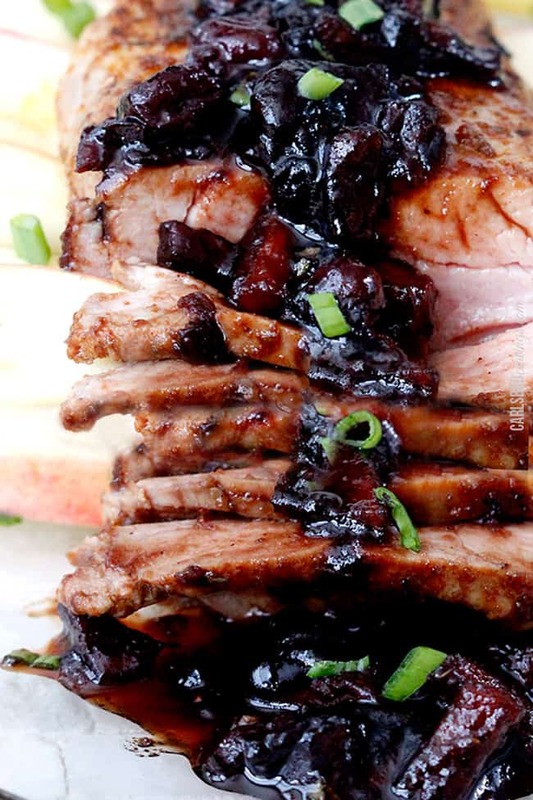 I typically make pork for Christmas and other special occasions like Mother’s Day because it just feels more gourmet than traditional fare, and it is so versatile and melt in your mouth delicious while still being deceptively simple to prepare. 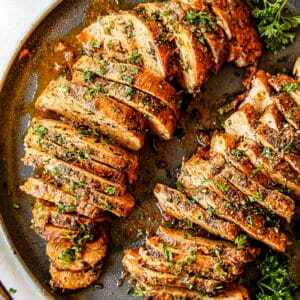 This Christmas, I am excited to serve this company worthy Chili Dijon Pork Tenderloin that is sweet and tangy with just the right kick of heat. 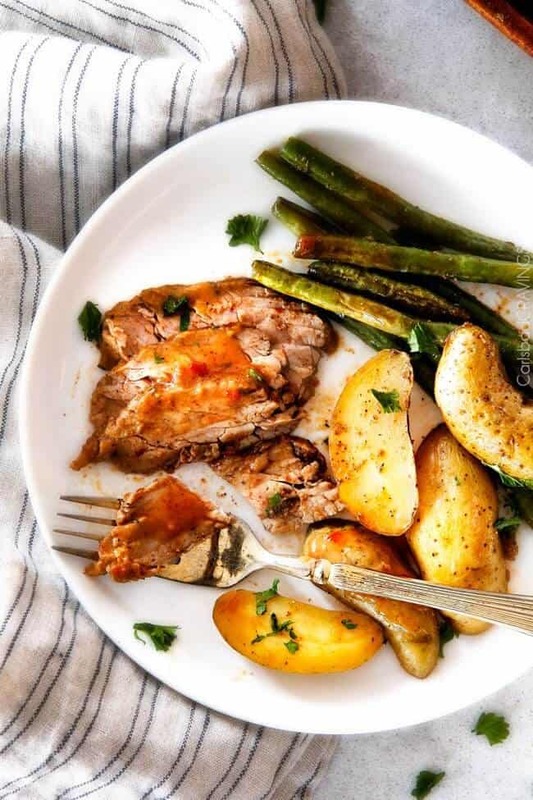 And while this Chili Dijon Pork has a few more ingredients (most are spices that take seconds to whip together), it serves as your main course and your sides because the potatoes and the green beans are all baked together! 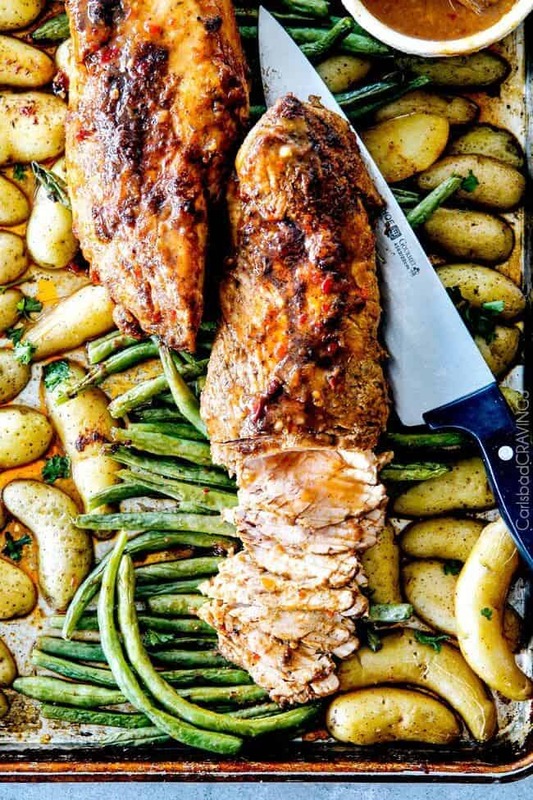 Not only does this make for quicker meal prep, which is SO important during the holidays when you want to spend time with your family instead of slaving away in the kitchen, but but the juices of the Chili Dijon Pork Tenderloin seep onto the green beans and into the potatoes for an added layer of yum. But I use a brine with all my pork tenderloins, and this was by far the juiciest, because this wasn’t just any pork, this was Smithfield Prime Fresh Pork Tenderloin from United. Smithfield Prime Fresh Pork Tenderloin is 20% more tender than the other leading brand of natural pork. In addition, it has zero growth promotants, no added hormones or steroids, no artificial ingredients and is a product of the USA. Not all pork is created equal and you can definitely taste the difference with Smithfield Prime Fresh Pork Tenderloin! While your pork is in the brine, you prep your Chili Rub by whisking together chili powder, ancho chili powder, onion powder, garlic powder, smoked paprika, parsley, thyme, etc. You add a sprinkling of this along with olive oil, salt and pepper to your potatoes and green beans while on the baking sheet and toss to coat. Next, you line the green beans down the middle of the pan and the potatoes along the outside. Next, rub your brined pork with the remaining rub mixed with some olive oil and sear on all sides then place the tenderloins directly over the green beans. This creates steam while roasting so the beans cook through without drying out. Finally, your Chili Dijon Sauce. This is a simple whisking of Asian sweet chili sauce, Dijon, brown sugar and some reserved Chili Rub spices. It’s sweet, tangy, spicy and loaded with flavor. Brush this all over your pork before roasting and a little after, and you have the most tender, juicy, flavor-exploding pork to come out of your kitchen. Christmas Day worthy, every day easy. 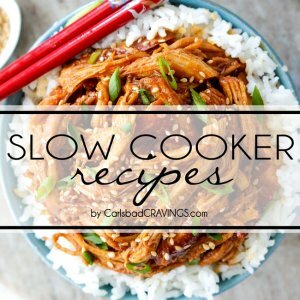 Looking for more one pan pan dinners? 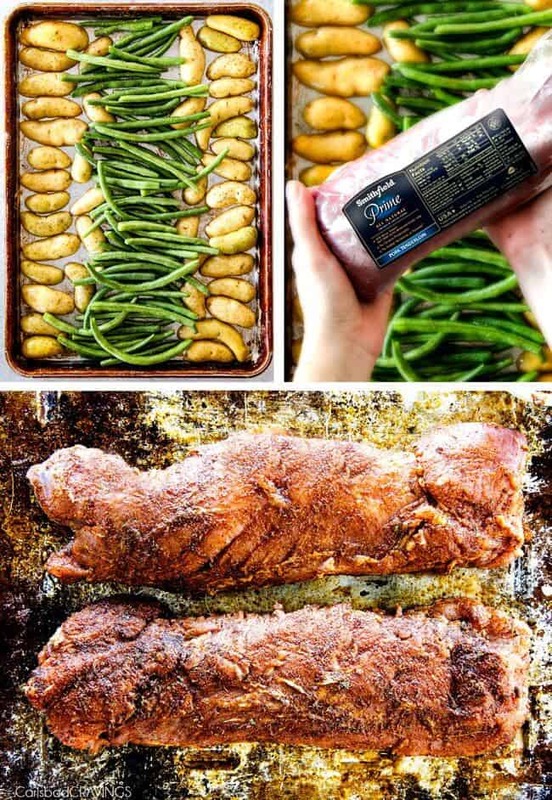 Want to try this Baked Pork Tenderloin? 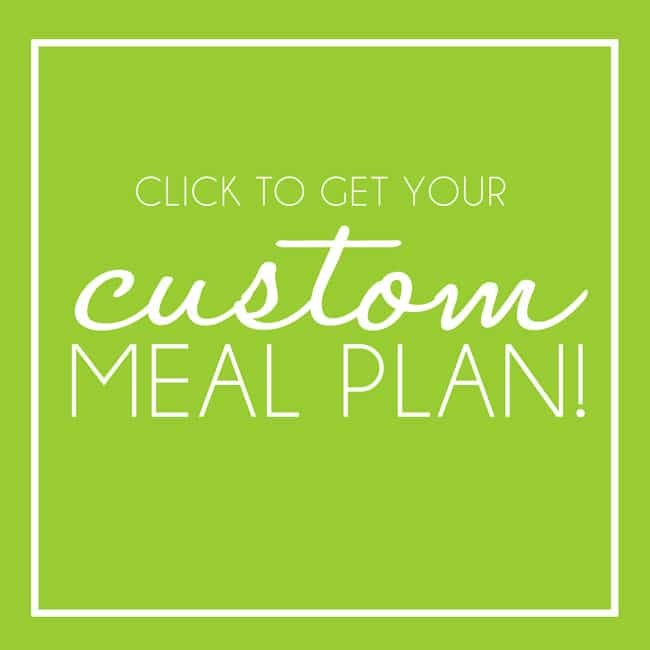 Pin it to your DINNER, PORK or HOLIDAY Board to SAVE for later! BRINE: In a gallon-size freezer bag, mix salt with warm water. Add the remaining Brine ingredients, followed by pork. Brine for exactly 20 minutes then remove pork from brine, rinse and pat dry. The pork becomes mealy if left in the brine any longer. CHILI RUB AND GLAZE: Meanwhile, whisk together all of the Chili Rub ingredients in a medium bowl. Remove 1 teaspoon Rub to a separate medium bowl and whisk in the Chili Dijon Glaze ingredients. Set aside. VEGETABLES: Add green beans to one half of a large rimmed baking sheet and the potatoes to the other. Toss green beans with 1 tablespoon olive oil, 1/4 teaspoon Chili Rub, 1/4 teaspoon salt, and 1/8 teaspoon pepper. Toss potatoes with 2 tablespoons olive oil, 1/4 teaspoon Chili Rub, 1/4 teaspoon salt, and 1/8 teaspoon pepper. Arrange green beans down the center of the baking sheet as pictured, some will overlap. Arrange potatoes, cut side down, on both sides of green beans. PORK: Preheat oven to 425 degrees F. Whisk together remaining Chili Rub spices with 3 tablespoons olive oil. Rub patted dry pork all over with Rub. Heat 2 tablespoons olive oil in a large nonstick skillet over medium high heat. When oil is very hot and smoking, add pork tenderloins. Sear each side until browned, approximately 1 minute per side. 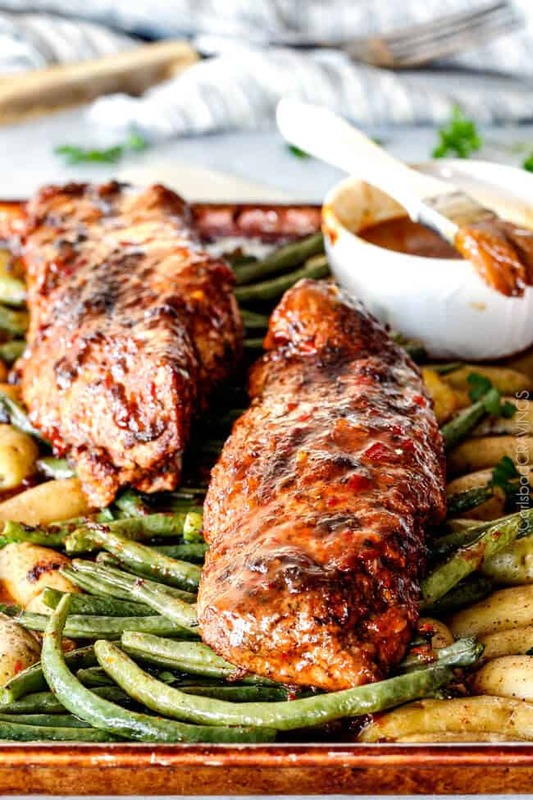 Place tenderloins lengthwise on top of green beans without touching each other. Separate out 1/4 cup Chili Dijon Glaze and brush it evenly over pork. ROAST: Bake until pork registers 145 and 150 degrees F (63 and 65 degrees C) at the thickest part of the tenderloin, 25-30 minutes. This means the pork will be juicy and slightly pink in the middle. When pork is done, let stand 10 minutes before slicing. 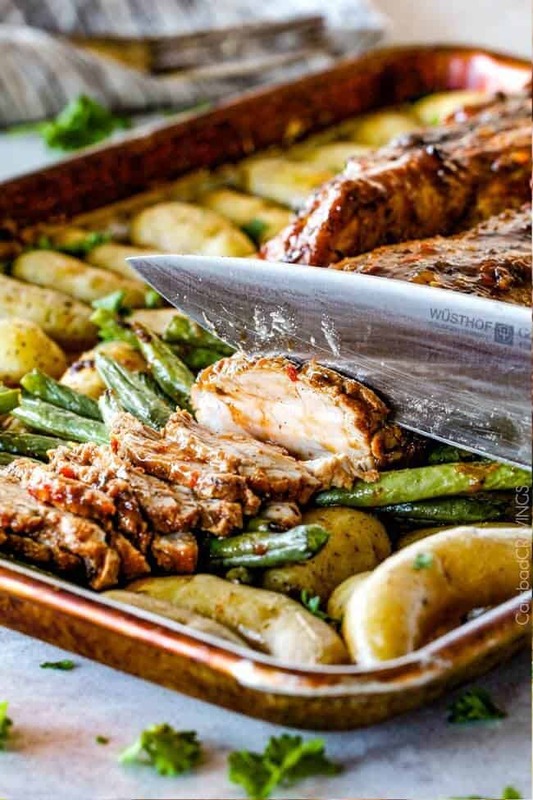 Your vegetables should be done at the same time as the pork, but if not, then remove pork to cutting board, tent with foil, and continue roasting vegetables an additional 5-10 minutes or until tender. SERVE (optional): Transfer vegetables to platter and pour over any accumulated juices. Season with additional salt and pepper if desired. Cut pork into thin slices and place over vegetables. Serve with remaining Chili Dijon Sauce if desired. This looks SO good! 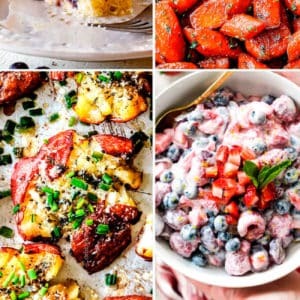 Your recipes are awesome! Hope you had a wonderful Thanksgiving! You are the sweetest, thanks so much Eva! I hope you make it and love it! I also hope you had a wonderful and delicious Thanksgiving as well! 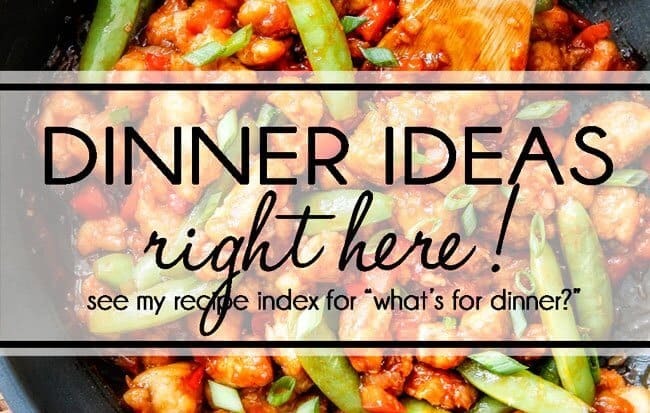 I made this for dinner tonight and it was a hit! 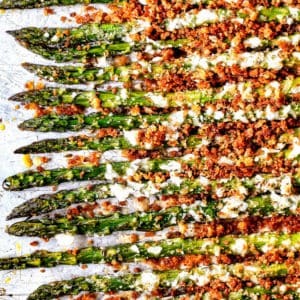 What a great meal for a busy weeknight! Thanks for sharing! You are so welcome Liz, I am so happy it was a hit! Thank you for taking the time to comment! This dish is AMAZING! I made it a few weeks back and I’ve been craving it ever since! I’m making it again tonight and am already looking forward to the leftovers tomorrow. Thank you so much for this yummy recipe!!! My whole family enjoyed it as well ! Awesome Carri, I so appreciate your comment! I am so happy this is “crave worthy” and that your whole family loved it, yay! Happy New Year! This was just delicious! I thought sweet chilli sauce and mustard was kind of weird but all your recipes have been superb so far so I decided to have a go. 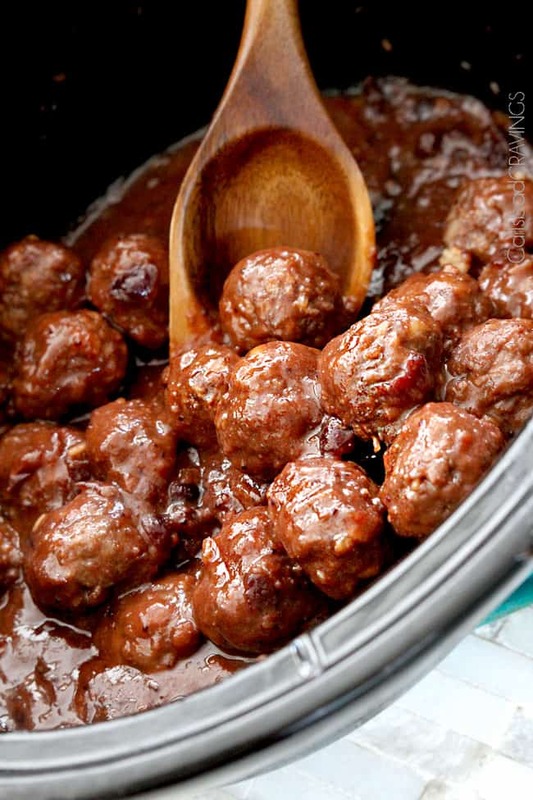 Besides it looked really easy, one pan, love it! And it was a big pan, family sized. I didn’t have any fancy mustard so just used the hotdog squeeze one and it was so amazing! Wow! Thank you so much! I am doing a new recipe every Saturday night, to keep the spirits up, you know. It has been interesting,, so I am sticking to your blog! Hi Sue, thanks for trusting my recipes (ultimate compliment!) and going for it! 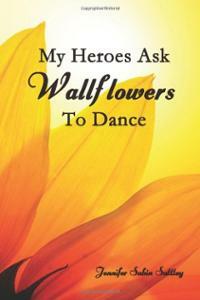 I am so happy it paid off and was such a hit – yay! 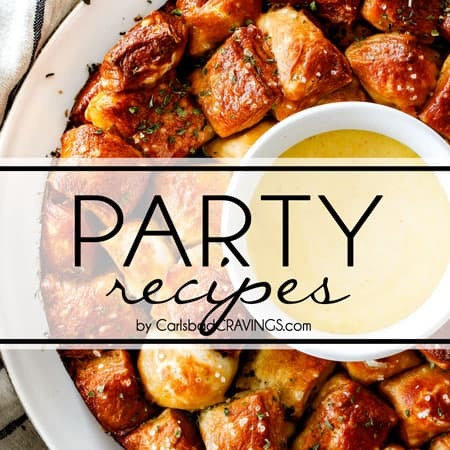 I love hearing that you are enjoying my recipes and that is so fun you are trying a new recipe every Saturday. It can be so fun to create something new and even better when it turns out! This is so hard to write, but I appreciate so very much, that you share your wonderful recipes and story. It is hard for me across the world, away from family and friends and you brighten my day so much. You are wonderful. Thank you. Oh Sue, you are such a kind, loving kindred spirit! Thank you for reaching out and for your incredibly kind words! I am reaching back at you with a big, warm, loving hug! This brine is brilliant. Pretty sure this is the best pork tenderloin I’ve ever made and possibly eaten. Love the spice rub + the sweet chili sauce + the mustard. Delicious. 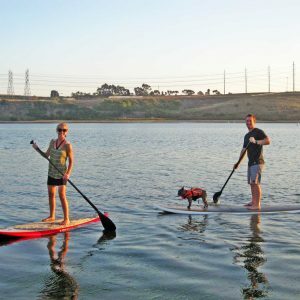 If you are reading this post and these reviews and are undecided: Make it! LOVE your comment Anne, thank you, thank you! 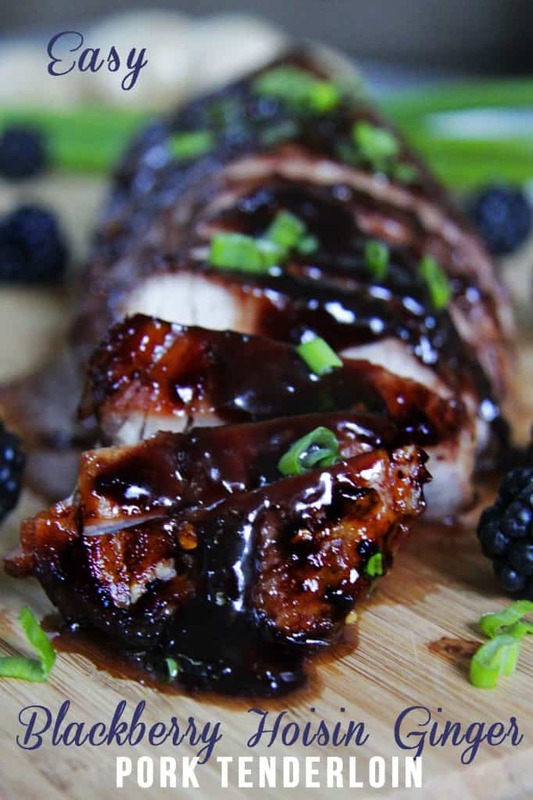 I’m thrilled it was possibly the best pork tenderloin you’ve ever eaten, the ultimate compliment! Holy. Moly. 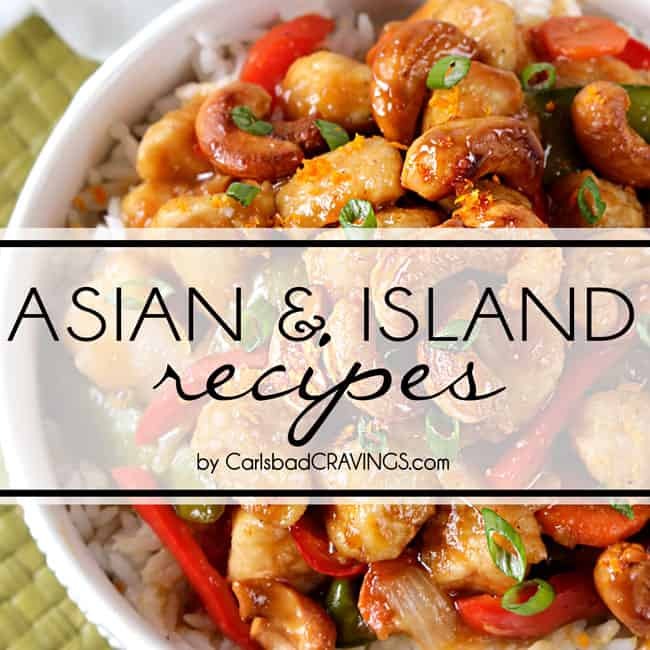 Just made this for dinner tonight and it is now one of my favorite meals! My dad, who tends to be a skeptic of my Pinterest recipes, took one bite and said “wow!” Thanks for another great recipe, Jen! wahoo! 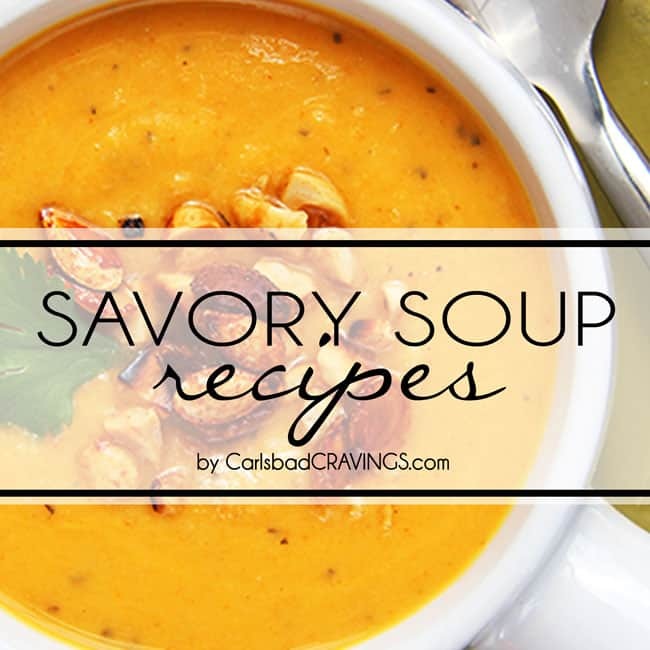 I am thrilled this is one of your new favorite recipes and even skeptic dad approved :)! Thank you so much Krizten! This looks really yummy! I would like to make it for my meal preps this weekend, but I have never brined anything. My question is the instructions say to “brine for 20 mins”, what does that mean? Do you just let the bag sit out on the counter? or should it be refrigerated? And what does it actually do? Hi Nicole, yes, just leave it on the counter – super easy!!! This was FABULOUS! 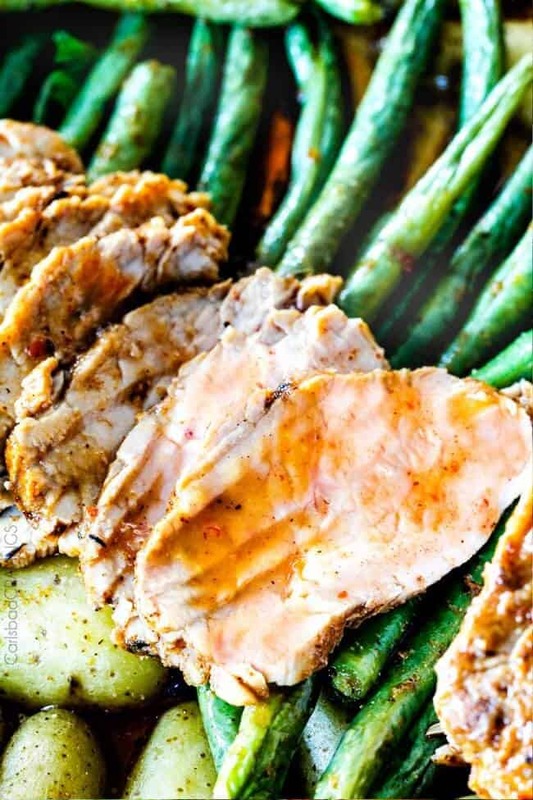 Absolutely my new go to pork tenderloin recipe! Sweet, spicy, crispy and juicy! Oh my!! Thank you! yay!!! I am thrilled and flattered this is your new go-to pork recipe. Thank you Nicole! Made this tonight and it was amazing! I substituted Baby Yukon Gold Potatoes for the Fingerling Potatoes and cut them in quarters. Doubled the recipe and have some left for lunches tomorrow.Was a hit with my husband, who usually isn’t impressed when I try a new recipe. Looking forward to trying another one of your recipes! Welcome to my site Sherri! 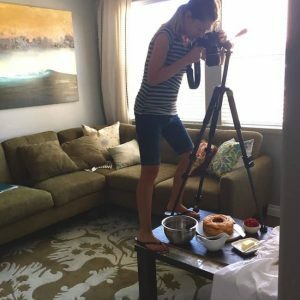 I’m so happy your first recipe was a hit – yay and phew 🙂 I hope you continue to find many new winners! Not the easiest meal I’ve ever made (though the 2.5 year old and 10 month old underfoot can even make calling for pizza difficult at times), but holy YUM. I’ve made it twice now and it’s amazing! A definite keeper, even if I can’t make it as often as I’d like. Thank you! Made this for dinner tonight and it was excellent! It took a little longer to put together but was worth it. 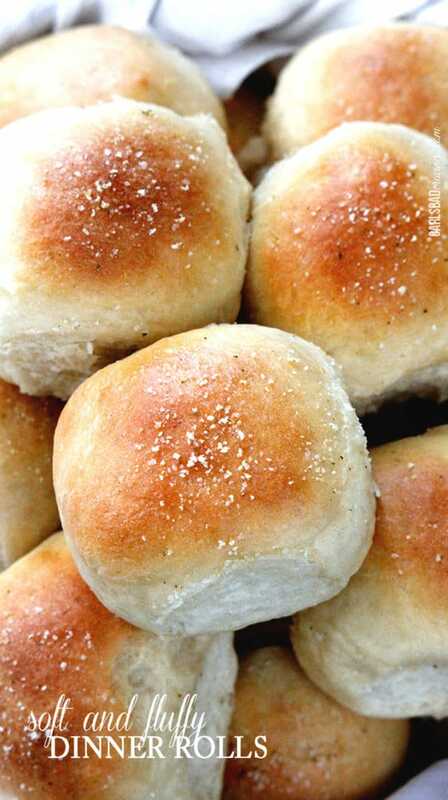 All of your recipes that I have tried have been great. Thank you for taking the time to comment Sheryl! 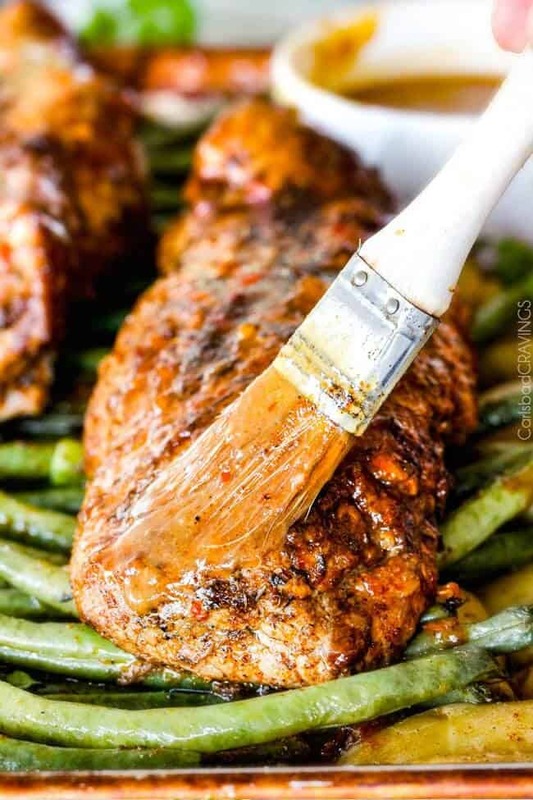 I’m so happy you loved this Chili Dijon Pork and the other recipes of mine you’ve tried! I hope you continue to find new favorites! Just made this tonight!! 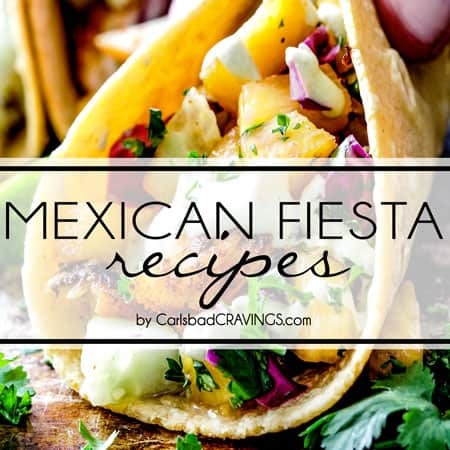 Nice work on this recipe!! It turned out perfect!! Thank you so much Christine, I’m so pleased it was a hit! Delicious!! This is definitely a keeper! 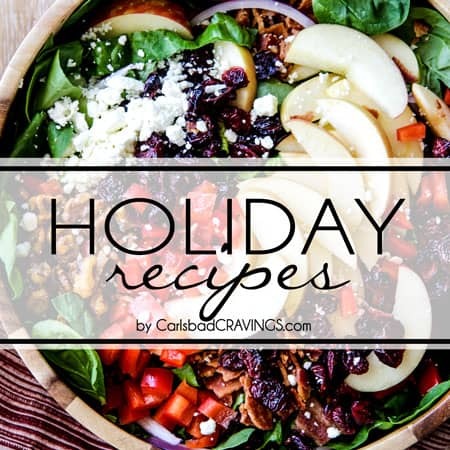 Thank you for all of the recipes!! You are so welcome! Thank you for making them and taking the time to comment! I’m so pleased its a keeper! Had my in laws over for dinner tonight and made this – it was a HIT! Instructions were also easy to follow and very helpful. I followed everything exactly and it was delicious. Will definitely make again – thank you! You are so welcome! I’m thrilled it was a winner, especially for your in-laws! Hello! Can I use chicken breast for this recipe? Will this brine work for chicken as well?